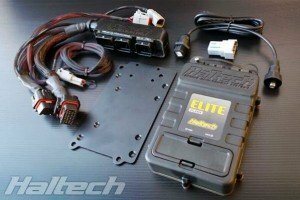 EFI Installations, Race Car Preparation etc. We have significant experience in installing after-market EFI systems into a wide range of vehicles and applications. 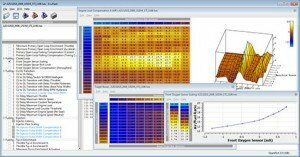 This has been one of the major growth area’s of our business and we have built a growing reputation for being able to resolve issues or provide a tuning solution that many other firms are unwilling or unable to provide. Fitment of plug and play engine management kits replacing the stock ECU. 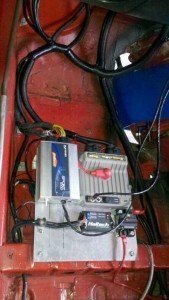 Custom wiring of engine management systems for all forms of street vehicles. 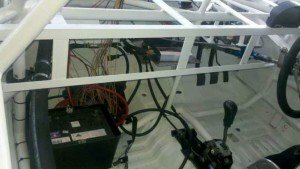 Custom wiring jobs for modern, historic and race vehicles. Installation of aftermarket boost control systems. Installation of aftermarket water / methanol injection kits including controlling such system. Today’s cars have changed so much over recent years, with the advent of car ECUs that take control of all aspects of car management, from the maximum power and torque an engine delivers to its economy and drive ability. Whilst the huge advances in technical management of the way your car drives have made it far simpler for the consumer, it also means that tuning cars has become a far more complex task involving many small variables that can effect the ways in which your car performs. Put simply, Engine Control Units (ECUs) are designed to electronically control fuel injected internal combustion engines. In its most basic form an ECU monitors the engine through sensors and uses this information to determine the quantity of fuel to inject and the timing of the ignition depending on engine speed (RPM) and engine load conditions. Typically, an ECU will use throttle position, manifold absolute pressure (MAP) or mass air flow (MAF), or a combination of these to calculate the load conditions. Full replacement engine management systems give us, the tuner, the full ability to reprogram your vehicle to suit any level of modifications, from mild to very very wild. There are no limitations and with many systems now providing plug and play ECU packages, there is no reason not to consider one of these systems. Piggy back engine management systems, takes signals from your sensors and modifies them to alter your ecu into adding a different value. 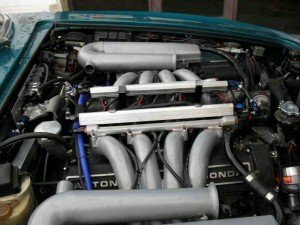 This is useful up to a point and depending upon the complety of both the factory ECU programming (Drive by wire, Variable cam timing, variable boost mapping etc) and the degree of tuning required (Tuning for larger injectors, higher boost, addition of Turbo / Supercharger onto Naturally aspirated engine etc). It is highly recommended that prior to choosing your tuning system, you speak with us about your vehicle and performance items being fitted to ensure you have the correct engine tuning system. Modern day vehicles relatively easy to work on, as many of them already utilise an EFI system and can be easily modified and upgraded usually from a Multi point single coil system to a more model Sequential Injection / Waste Spark ignition system. An example of this, is a Toyota Hilux vehicle which utilised an older EFI system. The Factory ECU was removed, the ECU plug was removed off the EFI board, and then rewired to make essentially a plug and play kit. A wide band Oxygen Sensor kit was fitted, and the vehicle set-up to run duel mapping, one set of maps for the EFI Fuel System, the Second set for the Haltech controlled Sequential LPG Gas system with its own dedicated LGP Fuel and Ignition maps. Both utilised the wide band Oxygen Sensor for feedback for maximum fuel economy. We also make our own custom plug and play kits for many vehicles which helps reduce the time involved in installing these systems where an existing plug and play does not already exist from our premier suppliers, Haltech, Link and Vipec. Many times we have had customers come to us with a cheaper brand of after-market ECU fitted to the vehicle which is not able to run the vehicle properly, as required for a street driven vehicle. In these cases we have had significant experience in rewiring at the ECU end of that ECU, and then re-joining up to the replacement Haltech / Vipec / Links system. This significantly reduces expenses for the customer and significantly upgrades the ECU on their vehicle to one that had improved tuning and more advanced features, especially items like idle speed control and fuel economy. We also make our own custom plug and play kits for many Mitsubishi vehicles which helps reduce the time involved in installing these systems. Historic vehicles can be both easier and more difficult to setup and EFI System. 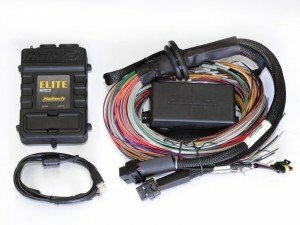 Easier as you can usually use a complete new EFI Harness and Relays only requiring a 12v ignition key supply to activate the power systems. Difficult as room in some vehicle (MGB / Ason Martins) can be tight, especially where new sensors need to be fitted as well. Fuel systems usually require upgrading for high pressure pumps, return systems and surge tanks. Alternator upgrades usually from 50 -60 amp units up to 90 – 100 amp units. The above information covers most usual situations, but we do recommend discussing your vehicles exact requirements prior to ordering any components or starting any work on the vehicle. With the increase of EFI systems now available and use within Speedway and Circuit racing applications, Racing Performance Works is seeing many vehicles coming to us as they are being built to setup the full electrics on the vehicle. Installation of after market ECU Systems – Haltech, Link or Vipec for the majority of vehicles. 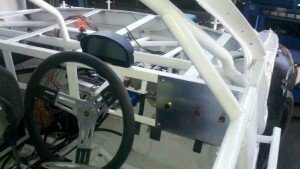 Installation of Racepak Dash Assemblies. Installation of Racepak power supply modules. Additional sensors for computer related safety cut outs etc. Setting up electric water pump systems for engine or inter-cooler cooling systems. Waterproof connector plugs – there expensive but last a long time, especially with speedway vehicles where dust and mud are a factor requiring frequent washdowns. Waterproof ECU solutions where applicable – options include placing the ECU within a waterproof box. Mounting the ECU and appropriate electronics in a position protected from heat or damaging positions. All joints soldered and sealed with heat shrink protection. All wiring covered in protective sheathing against possible rubbing, heat and other possible damage.